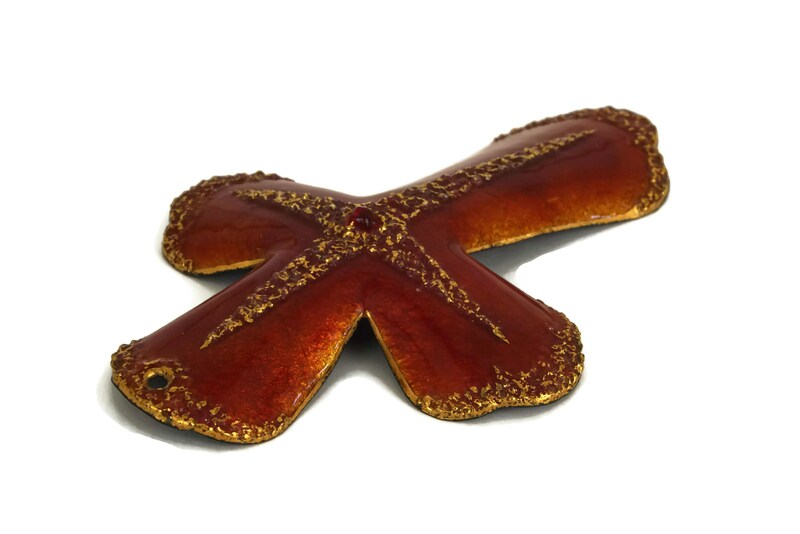 A striking vintage French cross pendant dating from the mid century. 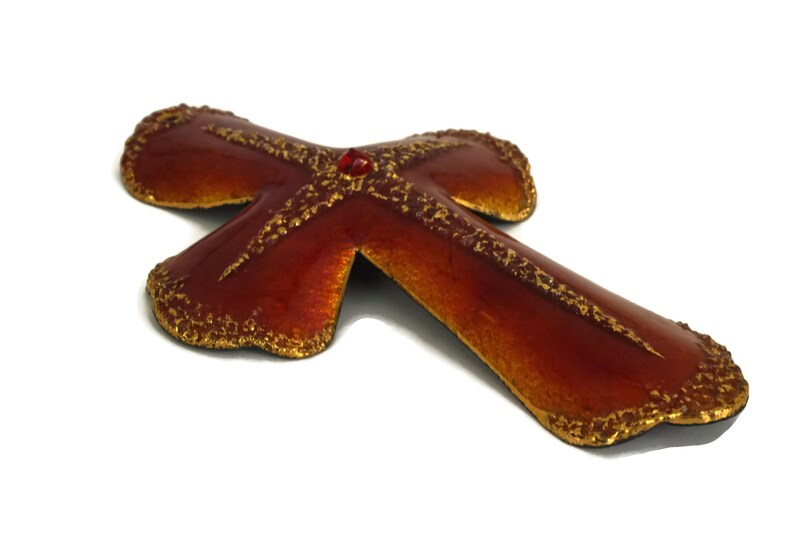 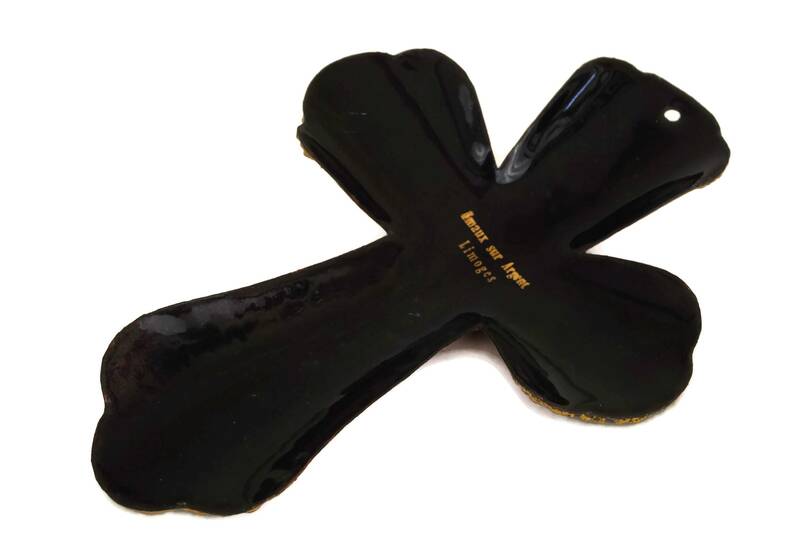 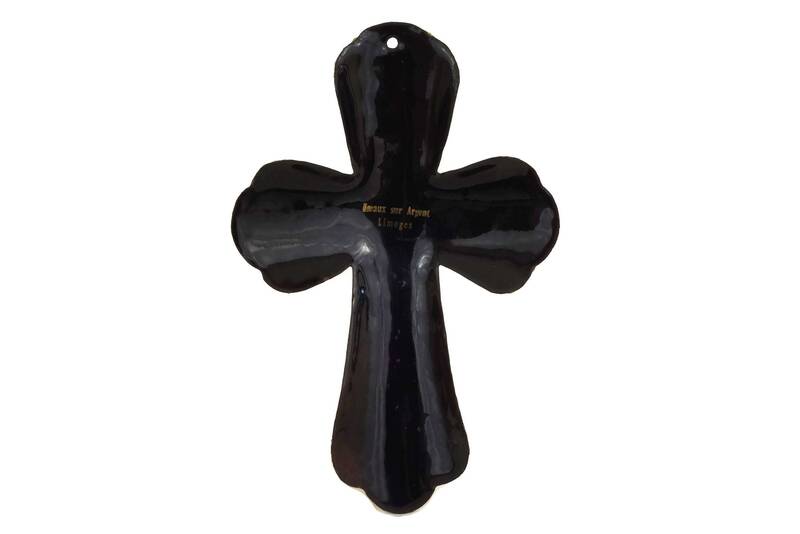 The large cross was created in the studios of Limoges and features a curved metal form that has been hand decorated with a layer of silver and glass enamel in a shade of rich amber. 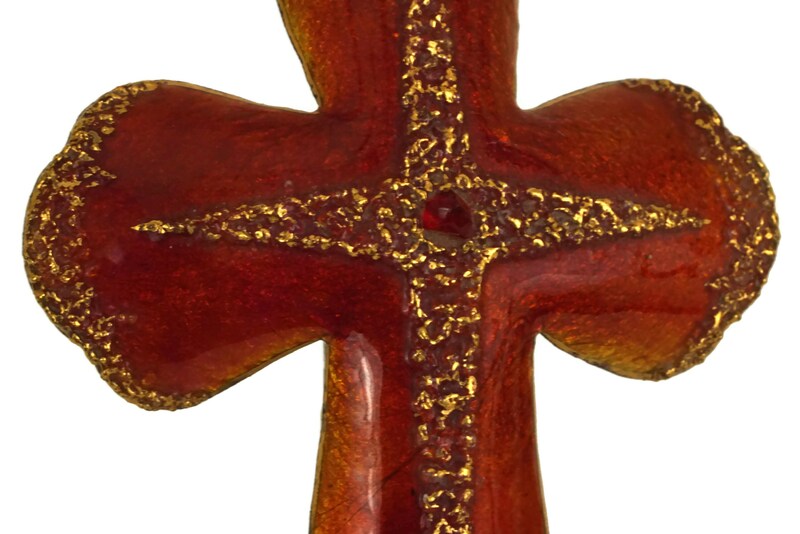 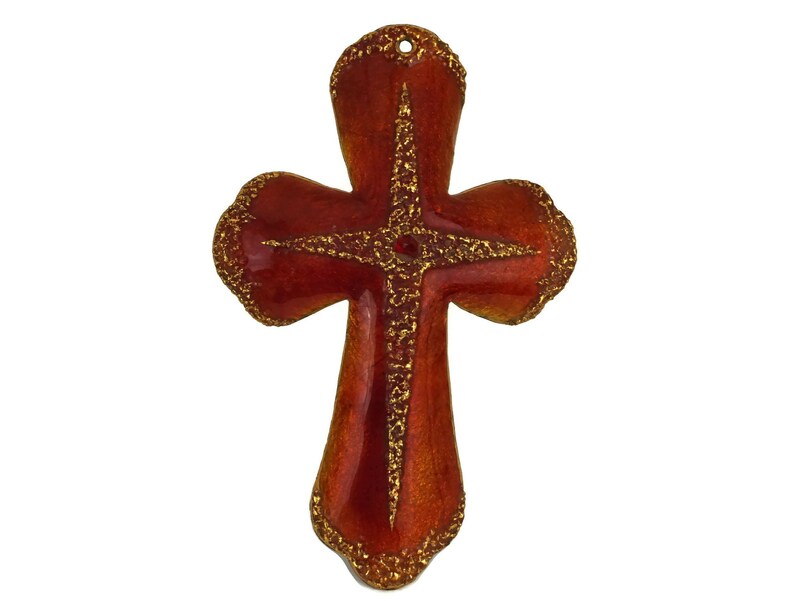 The surface of the cross has a raised relief design with gold accents and a red glass jewel in the center. 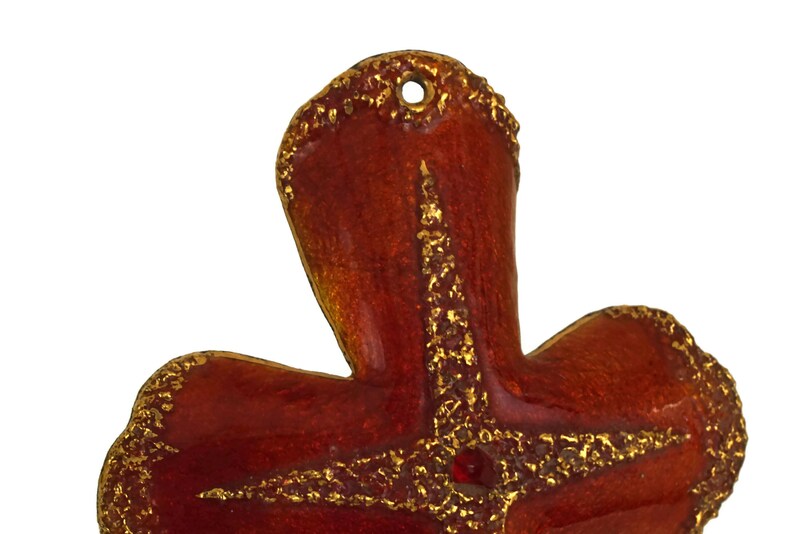 The top of the cross has a hole for attaching to a chain or cord. 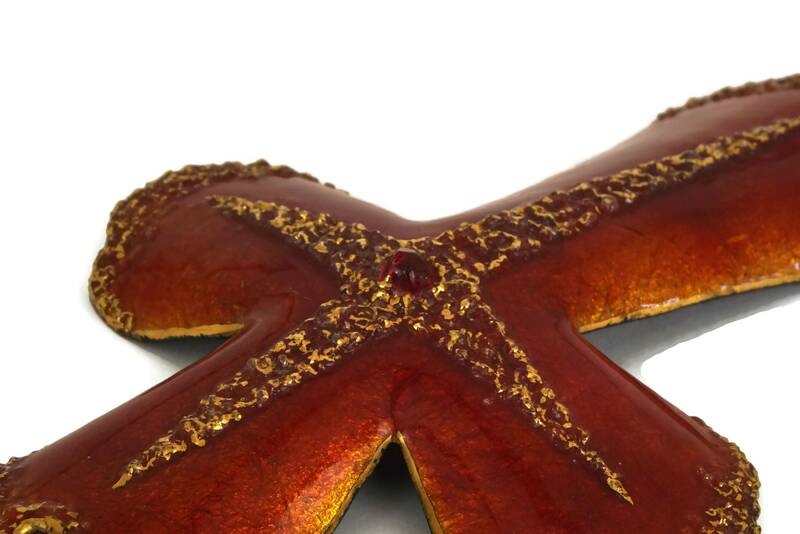 The reverse side has the Limoges maker's mark. 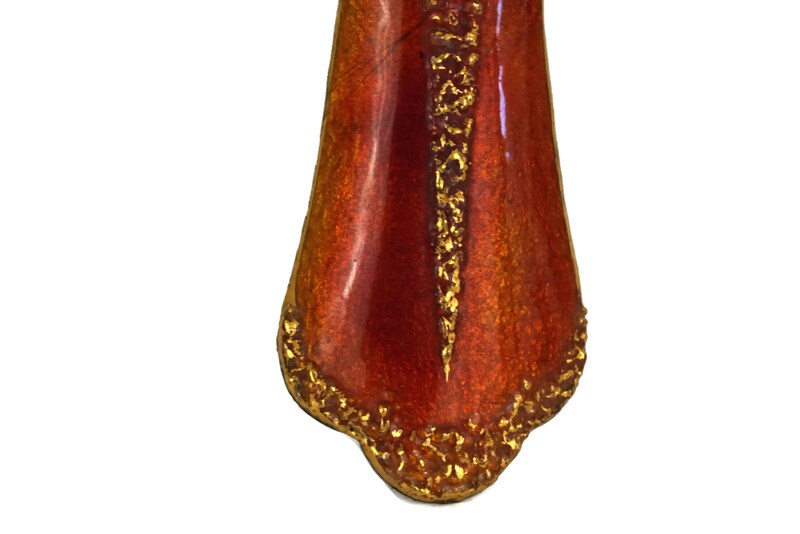 (16,5 cm x 11,5 cm). 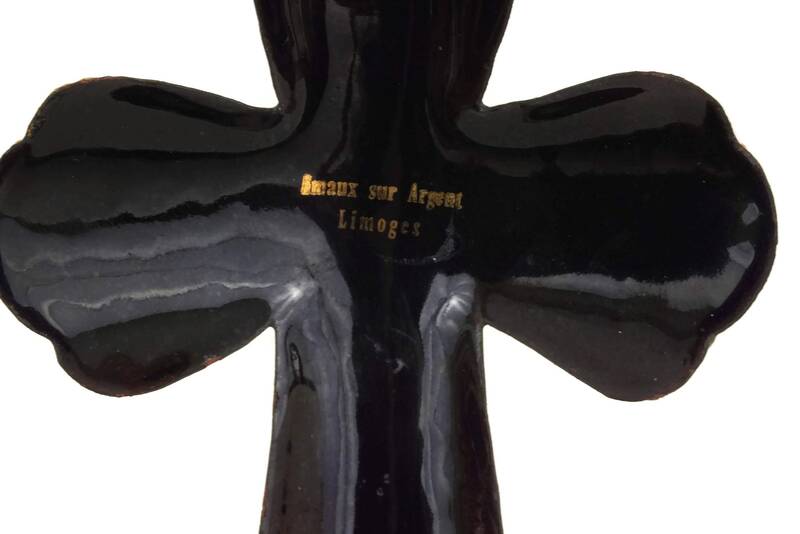 The crucifix is in excellent condition.